Crafted in Italy from sterling silver plated in rhodium, this antique-inspired bracelet is accented with a coin charm stamped with an iconic interlocking-G motif. 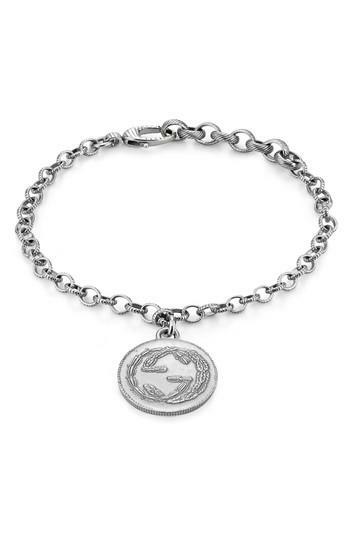 Style Name: Gucci Silver Coin Charm Line Bracelet. Style Number: 5536888. Available in stores.